"My Child and I both enjoy Kiddie Kollege. Everyone is so friendly and make you feel welcomed." "My daughter really enjoyed Prek-K this Year"
"I am very pleased with staff and preschool teachers." "My daughter was always very eager to attend class and progressed so much throughout the year." "The staff is amazing. They always take the time to make each child feel special." "My child has made so many new friends and loves to play with peers of her age. She brings what she has learned home which has rubbed off on her little brother and he has learned a lot as well because she mimmicks being a teacher. She respects authority and uses manners which is a crucial trait in the dying time we are in where young people don't respect others. I love that she can go to school and tell her classmates about Jesus and help plant those little seeds of faith in this center." Kiddie Kollege was fantastic! In my opinion, the child care at Kiddie Kollege is more than just babysitting. There are teachable moments woven throughout each and every day. Everything from letters and numbers to manners and procedures are taught on a daily basis with the utmost professionalism and care. The “students” are well-cared for and treated kindly in any given situation. The transition into pre-school at Kiddie Kollege is a smooth one. The pre-school class is just right down the hall from the daycare. This daily convenience is invaluable. Most of the procedures and skills that were learned in daycare are carried over and improved upon during the preschool hours. The ISBE-affiliated pre-school does a great job preparing students for Kindergarten and the rest of the students’ educational careers. The students also realize that school can be fun! 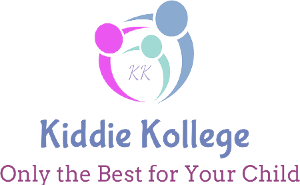 I would highly recommend Kiddie Kollege and its services to any family with young children. They will care for your children in a nourishing environment while teaching them the fundamentals of education. Kiddie Kollege is the center for all of your Early Childhood needs! Jackson Powell, Parent – March 2016"My daughter has been going to Kiddie Kollege since she has been an infant. She is now in the school age room and enjoys the summer program that Kiddie Kollege has to offer. She really likes all of her teachers and the other kids in the class." "My child will be four in May and has been attending Kiddie Kollege since she was 3 months old. She is my first born and I had to go back to work and I couldn't leave her with just anyone! I have always felt confident in leaving her with her teachers. She loves to go to Kiddie Kollege. The staff is amazing and very caring! Thank you!" "As a full-time working mom, leaving my girls in someone else's care every day is hard. Thanks to the teachers and staff at Kiddie Kollege I can feel better about leaving my girls knowing they are in the hands of professionals who truly care about them. 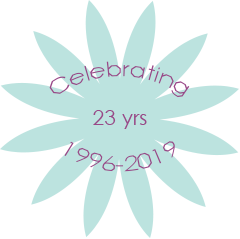 The staff is great about keeping us up-to-date on the highlights of our daughters' day, sharing their funny moments and their latest achievements. I'm so grateful to the staff for helping us give our daughters a great start in life, and for including us in all of their special moments along the way." "My 5 month old has been enrolled at Kiddie Kollege since she was 6 weeks old. I have always felt very confident in the care she is given while I am away from her. The teachers in her classroom along with the ladies in the office are great at keeping me posted on how her day is going and if she isn't feeling well that day. It's a great feeling knowing the staff truly cares about the well-being of my daughter!" "My son has been coming to Kiddie Kollege for 3 years now and it's the best choice we've made. He wakes up ready to go to school. He is in Prek-k and I am more than pleased with his teachers and the staff. I know that he get the attention he needs and is educated to the fullest. I would recommend to any parent that Kiddie Kollege is a great place to bring your child." "My daughter has been coming to Kiddie Kollege since she was an infant. Every morning as we entered the building, all the teachers, even the ones not in her classroom, greeted us. Kiddie Kollege has an open door policy, so at any time, I am able to go in the classroom or look through the window to check on her throughout the day. As a parent, I entrust my greatest blessing to the staff at Kiddie Kollege every day, and I am grateful for the loving care and guidance she receives. The teachers and director look at each child as an individual, with their own strengths and needs. My daughter has been blessed with awesome teachers who understand her challenges, and handle her with grace. My child has learned so much and continues to share with me the great activities that go on each day at school! Thank you to the Kiddie Kollege for an incredible early childhood curriculum that engages and teaches at all steps of the day." "As full time working parents, leaving our children in someone else’s care every morning is one of the hardest things we have to do. Thanks to the staff at Kiddie Kollege we can feel a little better about leaving our children every day because I know they’re in hands of caring professionals who cherish them (almost as much as we do) and seem to understand how much we miss them every day. The teachers, director and assistant director have been fantastic about keeping up-to-date on the highlights of our children’s day, sharing funny moments and their latest achievements. The best part is I don’t have to wait until the end of the day. They send us text and photos. I ‘m so grateful to the staff at Kiddie Kollege for helping us give our children such a great start in life, and including us in the moments we would otherwise miss out on." "My son loves it here, his teachers are amazing, and he loves everyone. Keep up the great work!" "My child enjoys attending Kiddie Kollege. She loves her teachers and she comes home with great activities." "When my daughter came here, she was scared at first, but the teachers were very kind and loving and she loved coming here. Always wants to come back!" "We love Miss Shelby & Miss Erin." "Great Program and staff! Addy loved coming to class everyday. She's going to miss you all next year!" "Chase has learned so much this year! Thank you so much for all your hard work and dedication! Teachers and staff have both done an awesome job and I'm very impressed with everything he has learned! Thank you!" My child is always super excited to go see Ms. Shelby and Ms. Erin at "Killie Kollege"! "Mary really enjoys school and talks about it frequently. It has been great for her socialization and emotional intelligence. Thank you for taking good care of all your students." "We appreciate Miss Shelby & Miss Erin. Thank you for your hard work! We can see the positive difference you are making in our child!" Kiddie Kollege is awarded Continuous Quality Improvement Program Funding November 2016. Kiddie Kollege Early Childhood Center has been notified by Project Child Resource and Referral Agency in Mt. Vernon that it has received a Continuous Quality Improvement Program Cohort Funding from the Illinois Department of Human Services in the amount of $7,200. Mike Sullivan, representing the Fairfield Lions Club and Tim McBride, representing the Fairfield Rotary Club presented Jill Andrews, Committee Chair for this year’s Family Literacy Fest with checks for $250 to be used to purchase books for the Fest. Each child will receive a free book, goody bag and prize. This year’s fest will be held on the lawn/playground behind Kiddie Kollege and the Early Childhood Services Building from 10:00 – 12:00 on Saturday May 14. Frontier College had previously organized the fest, but due to the impact of the state budget, they were no longer able to do so. Main attractions of this year’s fest will be the Lions Club train, a Minion and Michelanglo – the Teenage Mutant Ninja Turtle, inflatable bounce/slide houses, petting zoo, crafts, games from many area organizations and family fun photo booth. There will also be large door prizes drawn throughout the day that include a Kindle Tablet, boys and girls bikes with helmets, life size Minnie Mouse and more. Jan and Deans Corndog wagon and Annie’s shaved ice will also be available. For more information, to donate or participate, please call Kristen Harwell at 847-7102. Kiddie Kollege has been notified that they will again be funded by the Illinois state board of education to serve 40 children at Fairfield in the state’s prekindergarten program. This is a free educational program offered to children ages three to five. For more information call 847-7102 (Angie Lane). Classes start August 14th. Kiddie Kollege has been awarded an IDHS child care assistance program site contract for fiscal year 2018 in the amount of $399,000. These funds are to assist parents in paying for their child care while they work, attend college or high school. Parents who meet income guidelines can pay a monthly copay as little as $2 per month for their child care. These funds do not have to be repaid. All paperwork is completed on-site at kiddie Kollege so parents do not have to travel to project child in MT. Vernon to get their case approved. For more information call Kristen Harwell at 847-7102. The Illinois Department of Human Services has awarded Kiddie Kollege a FY19 Child Care Assistance Program contract in the amount of $380,000. These funds will be used to help parents pay for child care. Parent must be working and meet the income eligibility guidelines. Eligibility is determined on-site and parents will immediately know if they qualify. For more information or to see if you quality contact Kristen Harwell at Kiddie Kollege. The Illinois State Board of Education has awarded Kiddie Kollege a grant in the amount of $8,340 to fund two projects. One project will provide handicapped accessibility into and out of the facility. Clark Construction has begun work on the project which should be completed in June. The other project is for playground drainage to increase the days children can use the playground after a rain. That project is being completed by Parker Management of Wayne City. Kiddie Kollege offers a free ISBE prekindergarten program that serves 40 children each year. Kiddie Kollege has been notified that they will continue to be funded by the Illinois state board of education to serve 40 children at the Kiddie Kollege location. This is a free educational program offered to children ages three to five. Two sessions are offered each day. For more information on screening for this program, call 847-7102 (Angie Lane). Classes start August 13th.